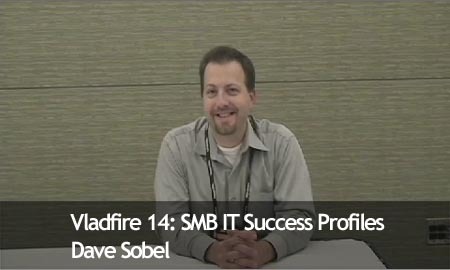 Dave Sobel is the President of Evolve Technologies and one of the more generous newcomers to the SBS community. We first met Dave at TechEd, place where you don’t get many people willing to admit they are SBSers and we talked about a number of advanced topics that will never see the light of day in the SBS world. Sad to say it but its true, most people in SMB just do not focus on these technologies. I taped the following video blog at Microsoft WWPC earlier last month and asked him about what makes his company so special and how they managed to become a finalist for an award as a Microsoft partner. Runtime: 7 Minutes 5 seconds.